It’s that time of year, and we couldn’t resist jumping on the industry recap bandwagon. We are looking forward to having more thoughtful discussions around the most efficient and creative ways to set up IT infrastructure in order to maximize business objectives for the coming year. Cloud-based analytics tools – they are highly accessible, enable dashboard views from your phone, and relieve businesses of the headache involved with storage and scalability. These cloud-based tools can quickly and effectively analyze real-time data to revolutionize how your business functions. UCaaS (Unified Communications as a Service) - a hosted, managed, and utility or usage-based offering, removes the barrier of front-loaded capital costs. Since the capabilities are provided in the cloud, consistent service experience and business continuity are intrinsic. A few of the benefits of UCaaS – better disaster recovery, rapid service deployment, addresses the mobile BYOD challenge, lower cost and lower risk deployment, and centralized management. 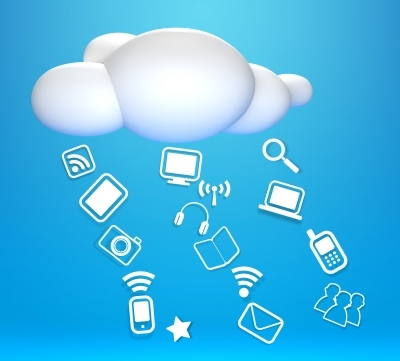 Multicloud – Clouds tend to be big, complicated platforms. The more you build on any platform, the more you become dependent on its unique features -- and in the case of a public cloud, the more you’re locking yourself into a platform owned and operated by someone else. Few enterprises want to put all their eggs in one basket, which is where multicloud management comes in. Tools to manage deployments across multiple clouds emerged a while ago and are gaining traction in the space. Management tools, enable you to manage and optimize resources and costs across clouds. Container madness – enables the packaging of applications so they’ll run in containers built on top of the Linux kernel. Why is this a big deal? It means genuine application portability by using lightweight packages instead of a full VM. Moving a single packaged app from container to container is easy, but complex apps involving multiple containers are difficult to manage. This is where the Docker ecosystem comes in: Docker management and orchestration tools help you assemble and move containers. Read more about Gartner’s top 10 tech trends for 2015. Technology is changing fast. Providers and vendors are coming and going. We at StrataCore look forward to being a part of many strategic conversations in 2015. See you next year!